I ordered the Vodka sauce yet again (3 fridays in a row lol). 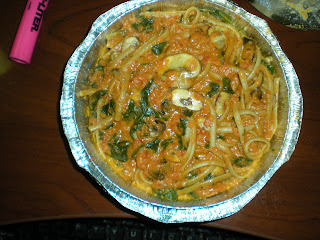 This time it's with WW linguini, spinach and mushrooms....yuuuuuuuums "buen provecho"
hey, why mess with a good thing? that looks terrific to me!